Baby Veronica Indian adoption case: Justice Alito’s decision was probably right. The Baby Veronica adoption case is heartbreaking, but Alito’s ruling was probably right. 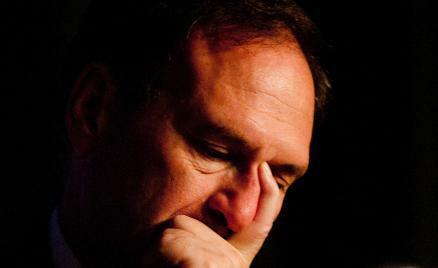 Justice Alito wrote the opinion in Adoptive Couple vs. Baby Girl. It’s impossible to write about the case of Baby Veronica, the subject of a ruling by the Supreme Court on Tuesday, without calling it heartbreaking. This is a child who was adopted at birth by a South Carolina couple, then turned over, at the age of 2, to her Cherokee birth father. He won custody based on the Indian Child Welfare Act, which Congress passed in 1978 for the entirely worthy purpose of preventing the removal of Indian children from their tribes and families. Now Veronica is 3½, and her life is up in the air again. The Supreme Court says the South Carolina courts made a mistake in taking her from her adoptive parents. Now what? More fighting in court. More uncertainty for a little girl who can’t possibly understand all of what’s happening but can only be deeply affected by this long battle over who her family is and who will raise her. No child should go through this. And preventing that should matter more than anything else. Before Veronica was born in September 2009, her birth mother (who is not Indian) gave her up to Matt and Melanie Capobianco, a couple who wanted to adopt her. Veronica’s biological father, Dusten Brown, also gave up his parental rights. But Brown says he never would have done so if he’d realized that Veronica’s birth mother didn’t plan to raise her. In January 2010, he tried to stop the adoption proceedings. The Cherokee Nation entered the case on his side. That stopped the adoption in its tracks, because the Indian Child Welfare Act prevents “involuntary termination” of an Indian parent’s rights without a showing that serious harm is likely to come to the child from “continued custody.” Were Brown’s parental rights terminated involuntarily? No, he changed his mind. Justice Samuel Alito’s ruling for a majority of five, however, turns on that second phrase “continued custody.” Since Brown never had custody at all, he shouldn’t have been able to invoke ICWA to block Veronica’s adoption, Alito said. The dissent, by Justice Sonia Sotomayor (joined by Kagan, Ginsburg, and Scalia) accuses Alito of misreading the law because he is concerned that it makes Indian children harder to place in adoptive homes, even though that is ICWA’s intent. But what law is worth turning a child into a legal and political football, thrown back and forth from infancy to toddlerhood to preschool? The wisest expert I know on adoption law, Joan Heifetz Hollinger of UC–Berkeley Law School, is cited twice by Sotomayor, but Hollinger thinks that Alito got the law right. Or at least, more right, since that’s all that’s really possible in this case. The problem is that by the time the South Carolina courts held a trial to decide who should raise Veronica, she’d been living with the Capobiancos for two years. That is far too old to take a child from the parents she knows. Rule of thumb: If your gut tells you something will hurt a child, the law should stop it from happening. Hollinger says that if she could turn back the clock, she would want the South Carolina judge to lock the Capobiancos and Brown in a room together, when Veronica was about 5 months old and the matter of Brown’s tribal membership first surfaced, to figure out what would be best for her. “Maybe the adoption goes through, and the court orders visitation with father or grandparents,” Hollinger said. “Or maybe the adoption is not allowed, but the adoptive parents receive guardianship.” In other words, you push all the adults involved to put the interests of Veronica first. That is what adoption law does in just about every other circumstance: It treats the best interests of the child as paramount. That is the right standard. Not the best interests of the Cherokee as a tribe. That has to come second.